There are fifty-two cards in a standard deck of cards, and we are tasked with putting them in order, whatever that might mean to us. We might choose to simply place the cards into two piles: blacks and reds, and leave it at that. Alternatively, we could separate these two piles into two further piles: hearts and diamonds for the red cards, and spades and clubs for the black cards. Adding another layer of complexity, it is possible to arrange each of these four piles into numerical order from ace to king. If this deck of cards were handed to a random person, the expectation is that the user would be able to find a particular card. 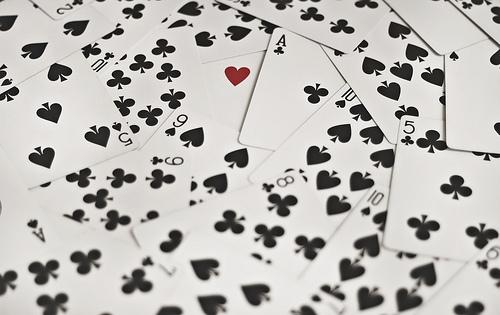 If, for example, the person were tasked with finding the ace of spades, he or she would most likely flip through the cards, recognize the pattern, and extract the card with ease. This is an understandable expectation, but it relies on the assumption that the searcher’s cognition is the same as that of the card’s arranger. What might occur if the person were unable to recognize the pattern? What might occur if they were able to recognize the pattern, but it took additional time to find a particular card? Dyslexics worldwide face this very challenge. The Yale Center for Dyslexia and Creativity estimates that 20% of the population is dyslexic, yet designers are generally ill equipped to create designs that are accessible for dyslexic users. In this article, we’ll take a look at the study I created and what I learned about dyslexia. Then, in part two, we’ll review the five universal design principles from North Carolina State’s Center for Universal Design, all of which I believe can be incorporated into any design process to create better designs for dyslexic users. Dyslexia is a cognitive learning disability in which the brain has difficulty with phonological processing, or translating words into sounds. As a result, reading is a difficult task. Due to their cognitive problems in decoding written language, many dyslexics will confuse similar words so that “CAT” may be confused with “ACT”. Although dyslexia affects a large percentage of the population, it manifests in a variety of ways, such that one person might find his or her dyslexia makes reading mildly difficult while another struggles with even the simplest of sentences. Statistics differ on the percentage of the population that has dyslexia. The British Dyslexia Association claims 10% of the population is dyslexic while the Dyslexia Research Institute in America claims it could be as high as 15%. Regardless of the exact number, the fact remains that this is an enormous number of people. The number of blind users, for example, pales in comparison to the number of dyslexic users, but it is likely that most designers have a far clearer picture on how to design for blind users compared to how to design for dyslexic users. My own interest in studying UX and dyslexia began when I met Francois Roshdy, an information architect at a Scottish company called Border Crossing Media. He is also dyslexic. When I asked how his dyslexia influences his work, Roshdy’s response was that he was likely to consider all the information before him separately before trying to piece it together into hierarchies and patterns. In other words, given the same deck of cards, Roshdy was most likely to see fifty-two piles of one card before considering how they might be further divided. Fascinated by Roshdy’s explanation, I set out to learn more about dyslexia. I connected with roughly 35 dyslexics and asked about their experiences with web and mobile, in what I believe to be one of the largest ever research projects on the dyslexic user experience in digital interfaces. I was able to identify two main reasons previous studies on dyslexia and web usability fell short in their research. The first is that the studies primarily focused on graphic design. This is a critical issue to be sure, but graphic design is only part of the overall user experience. Typographers, in particular, sought to create fonts that would be easier for dyslexics to read. Additionally, the Web Content Accessibility Guidelines 2.0 (WCAG 2.0), a collection of web standard guidelines created to help improve accessibility online, released graphical guidelines that deal with text and contrast. This was helpful to my research, but it only showed part of the picture. The second reason previous studies fell short is that they were conducted several years ago, and our field has changed extensively since then. A few attempts have been made to create dyslexic guidelines (ostensibly based off what little research exists), but those guidelines were created before the influx of mobile and tablet specific UI elements. User experience is evolving rapidly as users learn how to use new interfaces and are exposed daily to new trends in web design. As a result, guidelines that were state of the art in 2010 are unlikely to be up to snuff in 2014. So even if those studies had investigated the full range of UX through the lens of dyslexia, they would still be out of date by now. When were you diagnosed with dyslexia? How would you describe your dyslexia and the impact it has on others? What are the challenges associated with your dyslexia? What are the potential benefits of being dyslexic? What websites or mobile/tablet applications do you find particularly easy to use? What aspects of these sites or mobile/tablet applications make them easy to use? What websites or mobile/tablet applications do you find particularly difficult to use? What aspects of these sites or mobile/tablet applications make them difficult to use? What would you like people to know about dyslexia? If you have any comments or additional information, please write it below. Just as a doctor who treats the whole patient and not just the symptoms, so too did I attempt to find out not only about digital experience but also about the actual dyslexic people themselves. Was dyslexia something these users were embarrassed about? Were they happy being dyslexic? How did dyslexia change user behavior? About 35 people, most of whom were located via Facebook groups catering to dyslexic users or parents of dyslexic children, responded to my questions. Many of these group’s administrators were happy to promote my questionnaire and some users were kind enough to chat with me and refer me to other resources. After about two months, I had an enormous amount of data, and I could already identify a few trends and patterns—as well as three key takeaways. First, I learned that dyslexia affects people in a wide variety of ways. Some dyslexics said they had little trouble reading but had trouble writing; others were exactly the opposite. Some dyslexics explained that reading maps was their biggest challenge while others stated that their dyslexia extended beyond words to mathematics and that numbers gave them the most trouble. Still, others explained that they were clumsy and that this was connected to dyslexia. 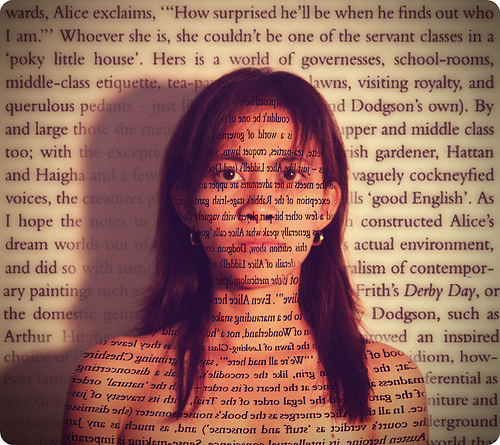 What I originally believed was an issue with words, extended far beyond just reading. As noted, previous discussions of dyslexia in web design have centered on creating better typography or color contrasts. This, however, does little to quell the anxiety a dyslexic user may experience upon encountering an e-commerce website. Imagine having difficulty understanding how much money you’re about to spend or being unsure you’ve written your address correctly! One dyslexic wrote to me, “I am scared to pay things via Internet or to take money from machines [sic]”. Second, I learned that some dyslexics see their dyslexia as an advantage. There is no “cure” for dyslexia, but many dyslexics find coping mechanisms that allow them to overcome the learning disability. The success of dyslexics in business, for example, has been well documented, with Richard Branson as perhaps the most high profile example. In his most recent book, “David and Goliath: Underdogs, Misfits, and the Art of Battling Giants”, Malcolm Gladwell used dyslexia as an example of a “desirable difficulty” in an attempt to show that dyslexia may actually be an asset for some people. Gladwell points specifically to the number of successful entrepreneurs who are dyslexic and attribute their success to their dyslexia. Gladwell points especially to Gary Cohn, the President and COO of Goldman Sachs. This struck me as a strange assessment, so one question I asked many dyslexics was how they thought their dyslexia may have benefited them. Most dyslexics explained that their approach to problem solving differed from their peers. Dyslexics told me they were able to “connect the dots” in their head in a way that differed from others and that this was a distinct advantage in problem solving. Finally, I asked dyslexics to explain which websites, mobile applications, and devices benefited them most, and the answers were diverse. I expected to find obvious trends that could point me toward what “works” in the world of web and mobile design, but there was no single solution. The one trend I did notice, however, was that five key principles of universal design are useful for designing for dyslexic users. These key areas are: flexibility, simplicity, perceptible information, tolerance for error, and equitable use. We’ll take a deeper look at how to implement these key principles in part two of this article series. Dyslexia is deceptively difficult to study. Although it is common, and I found plenty of users who were willing to answer my questions, the experience of being dyslexic can vary widely. Not every designer who reads this article will seek to design for dyslexia from this point on, but I do hope to raise awareness for the importance of considering dyslexia in the design process. I believe that awareness is the first step toward better designs not only for dyslexics but for everyone.